NOW ACCEPTING APPLICATIONS FOR THE 2019 QUEER PRISM GRANT! THE ALPHABET ANTHOLOGY IS NOW AVAILABLE TO ORDER! GREAT FOR A GIFT! VOLUNTEER AND HELP PRISM COMICS TODAY! COMING SOON: A brand new LGBTQAI comics creators section, rebuilt from the ground up — with cool new social/interactive features. Creators and Industry professionals can register for their profiles by going HERE. 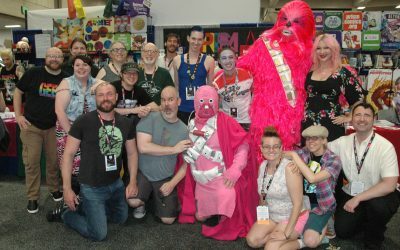 All the latest LGBTQAI comics articles, brought to you by Prism: the latest feature…Prism Spotlights, the most current news, Color Commentary (reviews), Queer Eye on Comics (gay themes from the past), and so much more! 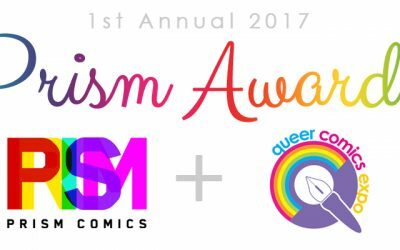 Learn more about Prism Comics and how we support LGBTQAI comics & creators. You can also donate, volunteer, advertise with us, read our FAQ, or contact us for more information. Check out our popular “HOMO SUPERIOR” mugs and totes in a variety of colors, and help out Prism by purchasing them! (HINT: They make great gifts!) 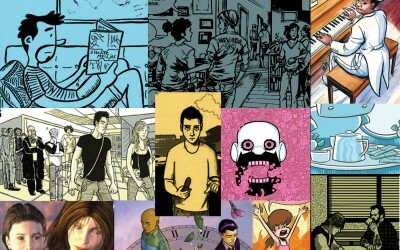 COMING SOON: A brand new online store of the best LGBTQAI comics! Register today at Prism Comics! 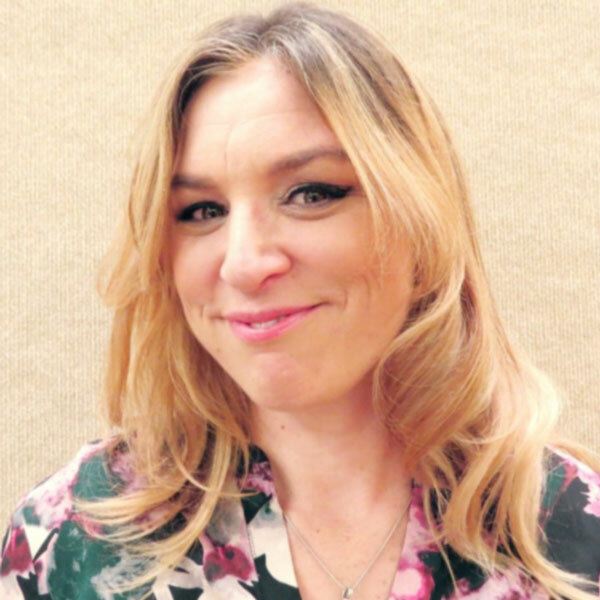 LGBTQAI creators get special profiles and features, but you can also register as a FAN for free to interact with creators, comment on articles, and get exclusive deals. We’ve got lots of new stuff to show you, and Prism President Ted Abenheim gives you the rundown! A NEW ANTHOLOGY TO BENEFIT THE QUEER PRESS GRANT! 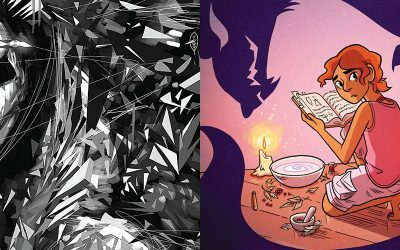 Stacked Deck Press and Prism Comics bring you a jam-packed hardcover to support LGBTQAI comics artists. Support the Kickstarter today! 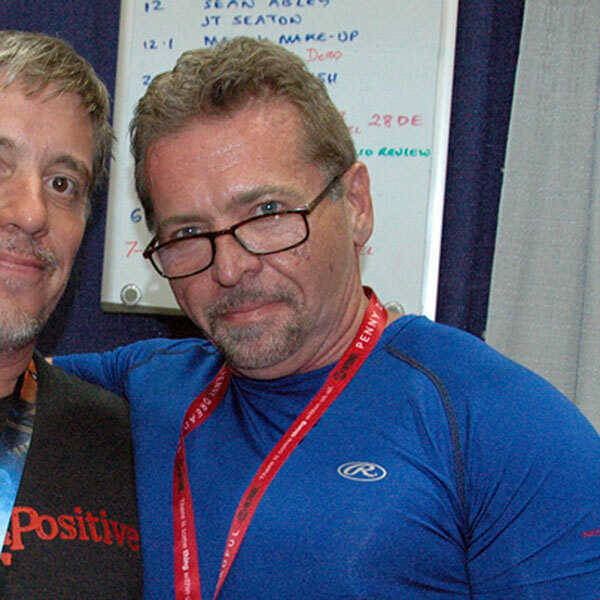 We’re always looking out for volunteers to help us out at comics conventions and other events. 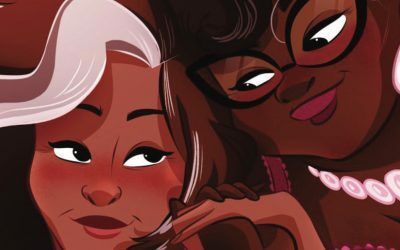 Learn how you can help the LGBTQAI comics cause! 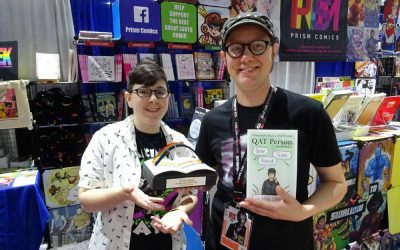 Prism Comics will be spotlighting the best and brighest LGBTQAI comics creators and industry professionals in this brand new section featuring mini-interviews as well as some full-length interviews. 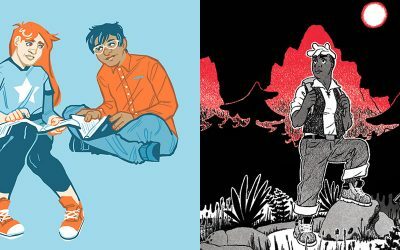 First up, four talented individuals who will be showcased in the new ALPHABET anthology brought to you by Stacked Decked Press and benefitting the Prism Queer Press Grant. Check out the first Spotlight features now!